Orange crocus is the flower remedy for healthy bonding between parent and child; the healing of any wounds that stem from this original bond; feelings of safety and connection to family/others, and our path towards healthy self reliance as adults. It is considered both a babies’ remedy, as well as a womb remedy, as discussed further below. Orange Crocus is a key remedy for the childbearing season. Purple Crocus works similarly to Orange Crocus, with a special healing theme of supporting those who have experienced birth trauma (especially if the trauma involved either mom or baby experiencing or fearing suffocation), and for children who are challenged by extreme or challenging moods. Purple Crocus can also help when there is bonding between child and parent that is too “tight” or bordering “smother love”—it can help to bring the relationship into healthy balance. Adults who have dreams of suffocating may also benefit from this remedy. As a womb remedy, purple crocus clears sadness from the womb, and enables us to put words to the emotions and traumas we hold there. White Crocus’s healing support also varies on the Orange Crocus theme. It is especially apt to restore one’s inner purity and the pure-hearted innocence of childhood. As a womb healer, white crocus helps to purify the womb and clears any spiritual issues held here. Orange Crocus can help us as we contemplate and plan the choice of having children. Many times this chapter of our lives calls up our relationships with our own mothers and fathers. Crocus can be an excellent remedy to help us work through and heal our relationships with our parents and any wounds of childhood (i.e. wounds to our inner child). 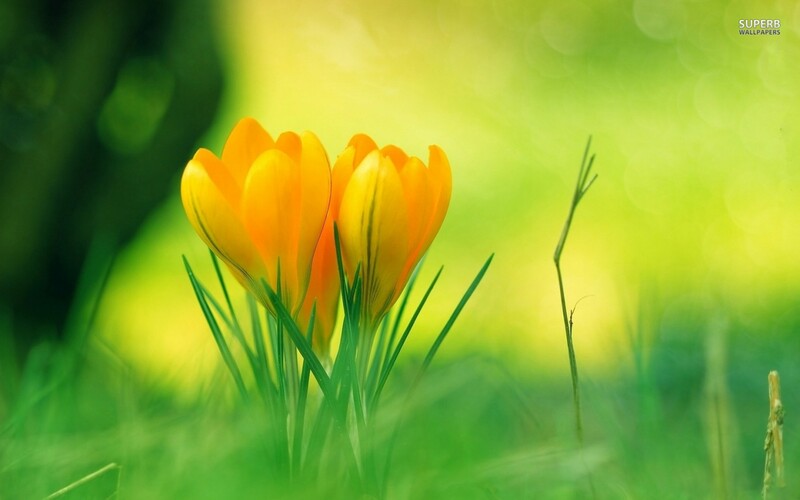 Orange Crocus can be a major ally during fertility treatments including IVF. Healers report that crocus can really support couples going through in-vitro fertilization when used before conception, during pregnancy, and after birth. This essence, used orally and topically, can help mom and baby feel held together, safe, and able to maintain their own energetic boundaries through the invasive nature of such procedures. During pregnancy, crocus can continue the inner work described above (in helping us work through our own life issues), and it is also tremendously calming to the fetus in utero. It may be a helpful remedy to use during any sort of medical procedure while pregnant (i.e. genetic testing, ultrasounds, etc), during and after events experienced as stressful by mother (and subsequently by baby), and as one prepares for birth. Crocus is an excellent remedy to have on hand before and during the birth experience. In the weeks, days, and hours before labor begins, crocus can help prepare baby and mama (specifically her womb) for the separation that comes with birth. During labor, crocus can prepare mom and baby for the actual birth and is tremendously calming to both baby and mom during labor (helping each feel safe, held, and connected). Crocus can help women when contractions won’t come or if there is any interruption to contractions once they have begun. It can help in situations of fetal or uterine distress. This flower remedy can help release baby at the moment of birth. Lastly, crocus is a wonderful remedy to support women and babies through c-sections, especially in the case that mom and baby are separated after birth. Crocus is the bonding remedy and is excellent for moms and babies (and partners!) to use just after birth to help establish healthy bonding. It can be a great remedy to support bonding in adoptive families. While it is great to support bonding in all families, crocus can be tremendously healing for mom and baby in cases of birth trauma, and separation of mom and baby around the time of birth. Crocus is well suited to help women through postpartum depression and other perinatal mood disorders as well. Crocus can helps fathers with bonding as well, especially if his own childhood experience is creating a block to connection. Babies love Crocus! It is one of the most appropriate remedies for infancy through the first 5 years of life. Crocus deeply supports the life stage of infancy and is deeply calming and soothing to babies. Crocus helps infants feel safe, held and connected—such fundamental needs of our little ones. Crocus also helps infants and young children adjust to changes in their relationships with their primary caregivers—things such as a parent returning to work, weaning, becoming a big brother/sister, traveling, moving, and going into day care, preschool, or kindergarten. Crocus can also help when children develop regressive behavior. Crocus’s cup like shape is a signature for its affinity to the uterus/womb and its ability to help us feel held, safe and cradled. The crocuses are very healing to the female reproductive system, particularly the uterus. This remedy is helpful after trauma, abortions, stillbirths, uterine surgery (including hysterectomy) and c-section. Crocus helps us feel safe and protected during such events and helps clear the womb of any negative energetic residue left there as a result of such an experience. Orange crocus is also an excellent remedy for uterine prolapse, helping to bring the uterus back into position. Lastly, orange crocus can help bring on one’s period if it is absent. 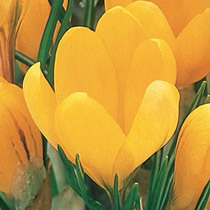 Crocus has an affinity to uterine energy, and is energetically tonifying. Additionally, crocus creates a well sealed aura and promotes mental clarity. Crocus can be used topically on the low belly to energetically re-energize and restructure the uterus and other reproductive organs. It can clear shock, grief, sadness and related emotions from the reproductive system, which may be the result of recent or long held trauma, surgery, or abuse. In pregnancy, crocus can be applied to the low belly to support the womb and fetus, especially if there is restlessness or any kind of distress. As described above, orange crocus can help prepare mom and baby for birth, and is appropriate for topical application on the belly in the last weeks of pregnancy and during labor. Use during labor for signs of fetal or uterine distress, or simply for its calming effects. Outside of use as a womb/fetus remedy, crocus can be used at the end of a bodywork session to contain the aura. During pregnancy, you can apply crocus directly to the belly or add to lotion. During birth, crocus can be applied directly to the belly or added to a birth tub. After birth, crocus can be added to a baby’s (or mom’s) bath. It can be applied directly to the belly after c-section (avoid incision site if unclosed). Star of Bethlehem is also a good remedy to heal c-section scar tissue. Orange crocus will help fill the energetic void and restore integrity to the uterus. For any purpose, crocus can be taken orally 4 drops 4 times a day or as needed alone or in a combination remedy. It is in several of our flower essence formulas (see below). ***For any topical application, it is ideal to use STOCK strength crocus. Please contact us to learn more about flower essences. We offer custom consultations and healing sessions. Also, please click here for retailers or see our Etsy shop for our products.